Know that you cannot read everything that is assigned. Skim or scan the assigned material before class. This means learning to quickly search pages for what is most relevant or useful. 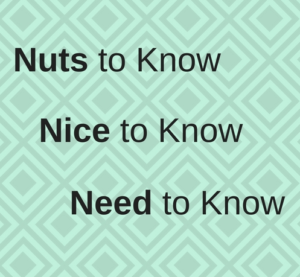 There are three kinds of content you will read and be given: Nuts to know, Nice to know, and Need to know. The things that will keep a nurse from harming a client are in the NEED TO KNOW category. Focus on that. Read for understanding and using, not memorizing. Take a moment and picture yourself at the bedside dealing with what you are reading about. What are you doing at that bedside? Re-read your notes at the end of the day as you summarize them or otherwise work with the material. If there is study guide or content outline provided by the professor, use it to help guide your work. After class, skim the assigned material looking for information that supports what you learned in class. Much more of the “what to study” question is answered in the blog post “Highlighters and Notes“. First and foremost, create a safe place to study — safe from chores, children, television, spouse, friends. Many students are prone to distracting busy work, aka passive procrastination. Here’s one scenario: You are 15 minutes in to studying, when you “remember” the laundry needs to come out of the dryer and be folded. Then the next load goes in the dryer, gather clothes for the next washing load, hit start, realize the cat needs a clean water bowl, wash the bowl and give fresh water, realize the same is probably true for the dog, wash the water bowl and give fresh water, pet the dog, get out a toy…. I worked with a particular student who was not doing well and was struggling to understand why. I had the student explain the daily work flow: get the kids to school, come to class, go home to study. Home is where children and spouse were, expecting all the typical “parent things” like dinner, dishes, laundry, and homework. Nursing school studies happened late into the evening, after the day had taken a toll. The student agreed studying needed to be a priority, not an afterthought, and the student chose a few people who wanted the student to succeed and be a nurse one day and delegated chores and child duty to them. We worked out a plan that involved staying in the library for a few hours after a morning class before going home (a safe study space), asking family and spouse to pick up a few chores and kid related duties (call in ALL THE FAVORS), and Voila! The student graduated and is a happy nurse these days looking to get a graduate degree! Your safe place might be the school library, a home office, or the local cafe, but it needs to be disassociated from your “real” life. For that matter, throw a tent up in the back yard with an extension cord and a “Nursing Students Only” sign, but make a sacred study space where there is nothing to do but to get it done. Whatever you do, kill the squirrels (distractions) first. Set yourself up for success. Procrastinators seldom do nothing. Two hours after your initial 15 minute study session, you have gotten lots accomplished, but have not worked toward your goal — becoming a nurse. These activities give a great sense of accomplishment without much mental effort or focus (which is sometimes exactly what you need), all while avoiding what really needs doing. Passive procrastination prevents you from reaching your goals. Being surrounded by distractions feeds passive procrastination. Procrastination is not the same as laziness. You may really work better under pressure, and that is why you “choose” to study the night before the test. There is logic for this approach. Allowing anxiety to build can provide motivation for success. Consider the alternate reality, though. When your cat has to go the emergency veterinarian the night before the test, you arrive for the test unprepared, with legitimate but ineffective excuses, and bags under your eyes. It doesn’t have to be this way! We’ve discussed passive procrastination; lets discuss active, functional, productive procrastination. Which productive procrastinator are you? (1) The cleaner. Cleaning your work space or even a bit of furniture rearranging is a very physical way to clean the mental slate in preparation for the next task that needs to be done. Set a limit, though. When you are done cleaning your study space, get to work! Do not move on to cleaning your entire living space. Cleaning your computer files is another great way to prepare mentally. For example, if you saved all your cardiac notes on your computer desktop, file those away before you start studying for the upcoming renal material. This is a finite task that meets the criteria for productive procrastination. Do not move on to organizing all of your digital photos into albums. (2) The napper. Sometimes a good, but short nap, is just what you need to sharpen focus for the next task. Often called power naps, these naps are approximately 20 minutes long and refresh the brain. Naps that are longer set your brain into deeper sleep stages and are counterproductive, making you sluggish. (3) The fitness enthusiast. There is much to be said for a quick trip to the gym, a short dance party in the kitchen, or a bike ride down your street. Exercising reduces anxiety and improves focus in many ways. Set a time limit for this physical boost, and get back to work when it is over. (4) The music lover. Take a few minutes to create a soundtrack of songs to perform CPR to before studying that cardiac content! It will help anchor the material in your mind when it is time for the test. Limit your track to about 10 songs, and this will help time your study sessions. When the soundtrack ends, get up, stretch, and get back to work. (5) The serious learner. Sometimes you just need to watch a video clip illustrating COPD before you really understand it well enough to study the respiratory chapter in the text book. Once you have watched one video, bookmarked three helpful web pages, or pinned five graphics….stop. You can revisit them if needed. (6) The perfectionist. This is a bit more than just cleaning your work space, but it is not quite a condition, such as OCD. If you need all your pencils to be facing the same way, all the paperclips in their jar, and your Funko POP Game of Thrones Daenerys Targaryen vinyl figure turned facing you, then by all means, do that first. Whatever clears your mental spaces in preparation for the next project is a productive way to procrastinate. Morning studies. If you wake up bright and clear-headed, what are you doing with that rested up energy? Most people waste it getting ready for school or work and sitting in traffic. Consider getting up earlier in the morning to use those first one to three hours of clarity to study. As a bonus, the house is usually very quiet in the wee hours of the morning. Intermittent studies. The brain does learn better in short chunks of time, somewhere between 10 and 20 minutes at a time, for most folks. NCLEX Mastery is built with this type of studying in mind. If you have electronic texts and notes saved to cloud drives, you can study in your car the few minutes before class starts, in the cafeteria while in line for lunch, or anywhere else. Be careful not to try to “multitask” however. If you need to be focused on traffic, then please look up, not down! For the people that do not use electronic study tools, using well written flashcards or a focused notebook with Cornell method-style notes are great options for studying on the go! Evening studies. Some people are just night owls. This is usually a quiet time in the house when everything that needed doing is done, except for studying. If you are energetic and focused in the evening or are otherwise wide awake, studying into the late night might be a great time. Try not to let late night studies lead to cramming though! Your brain has to have time to process and file information that you want stored in there! Active study strategies are your best bet. What active study strategies should be considered? Though completing a large assignment is not exactly studying, it is an important product of the work of studying in much the same way that a test is. Be proactive when it comes to big assignments. Decide what needs doing and develop a time table for managing each task. If the big assignment is a group project, determine the tasks to be done and divide them out early with due dates attached. Any big project starts with being deconstructed into manageable things that can be accomplished leading to the final product. Do this early for a quick productivity win. Consider how you learn best. For many students study groups are just an additional distraction; however, a small, hard-working study group can have many benefits. Share notes, quiz each other on material, have an occasional laugh. Study groups should have a method and a purpose. One way to do this is for each student to write down their muddy points from the learning period and share those in the group. If everyone is confused, let the professor know! Usually, though, someone in the group understands and can help explain it, clearing those muddy waters! Flashcards cause active recall of information learned. This can become a passive procrastination strategy, so monitor time spent making and using flashcards carefully. These can be effectively created and used in that study group, too. Flashcards can be made by hand (hung on a key ring) or in an electronic platform. Flashcards are useful for areas such as pharmacology. Place the drug on side A and the therapeutic action on side B or the most common adverse effect on side B. If using flashcards for an area such as labor and delivery, you might place “late deceleration” on side A, and side B says “turn pt to left.” Then when you see that “which action does the nurse take first?” question, you recall that answer quickly. This can be done during pre-class preparation or after. Keep the information on the flashcards simple, legible, and clear. Recopying notes verbatim is simple and requires little focus while offering the satisfying feeling of productivity. This strategy is a form of passive procrastination—avoid this. For more about active note taking strategies, see highlighters and notes. Think about what the nurse needs to do, rather than thinking about facts. You cannot recall every bit of information. Hopefully, you are not being tested on every bit of information, either. Rest assured, the NCLEX doesn’t expect you to recall months’ worth of tiny details. Text books and professors are often so focused on teaching the information, that teaching students how to use the information gets lost. You will have to know how to use the information for the test, though. At some point, every student feels like they are teaching themselves. That isn’t the case, though. This is the part of learning that each student takes responsibility for. Clinical reasoning (thinking like a nurse) doesn’t just happen, you can’t get it all in class or clinical, and it doesn’t come naturally to many students. Therefore, for every topic that you study, use ADPIE. What does the nurse assess? How does the nurse diagnose? What will the nurse plan? How does the nurse implement or intervene? What will the nurse evaluate? This is a quick way to actively study each topic in a way that synthesizes what you have learned and what you have written in preparation for the test. 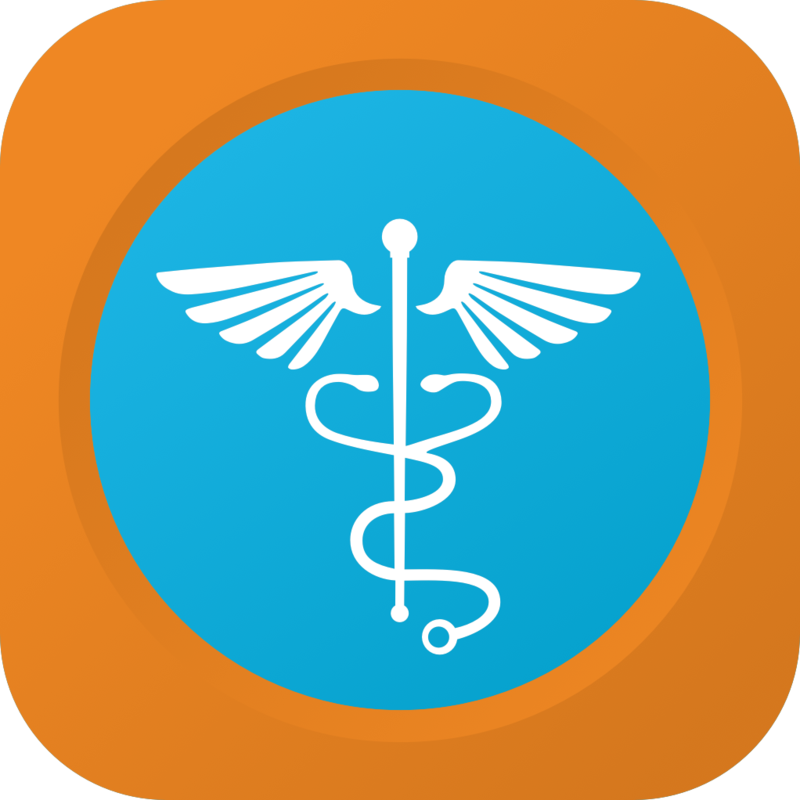 For an added dimension, imagine that you are at your patient’s side, explaining what is going on and how you and the health care team plan to help. What would you say or do? Concept maps cause you to consider what is really important and force you to summarize. An active strategy trend you might notice by this point! Basically, if you can’t legibly place the information about lung cancer on an 8X11 sheet of paper, you are trying to memorize rather than learn. Creating a chart can have a similar effect , but you can’t see the connections between thoughts as clearly. There is no set form. If studying a disease process, you might continue with the ADPIE thought, placing each part of the process into its own bubble and drawing lines and arrows to demonstrate connections. Many nursing students dislike concept maps, it seems. They appear messy and nurses like to be neat. Neatness is a good character trait; however, concept maps provide a very useful way to actively use the content and a visual way to recall what is needed when test time comes. There are many study strategies, and figuring out which ones work well takes some trial and error. Find the combination that works best for you and let us know! Show us on Facebook, Twitter, or Instagram!